Mystery Science Theater 3000’s invention exchanges are one of those wonderfully ludicrous hallmarks of the classic cult show’s early seasons. 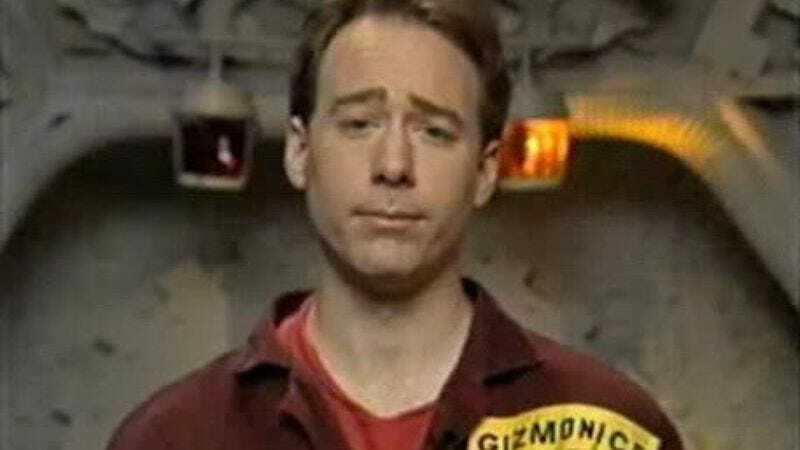 An outgrowth of Joel Hodgson’s prop-based stand-up act, the exchanges pitted Joel and his robotic associates against the villainous Dr. Forrester to see who could create the most ridiculously pointless inventions possible. But now, a video put together by YouTube’s vkmtvstudios leaves the Satellite Of Love crew pitching to people even more cruel than a mad scientist willing to subject someone to the horrors of Manos: The Hands Of Fate: business investors. The clip below sees Joel Robinson, Tom Servo, and Crow T. Robot (alias Art) pitching ideas like the Junk Drawer Organizer to the hard-eyed business minds of NBC’s Shark Tank, with often predictably dismal results. The edits are a bit rough in places, but the back and forth of Joel and the Bots’ earnest presentations and the investors’ often snide dismissals of things like a microscopic golf course or recycled paper clothing actually work pretty well. Plus, we’re super excited to see which comic strips Mark Cuban revitalizes by mashing them up with his 33 percent stake in The Cartuner.